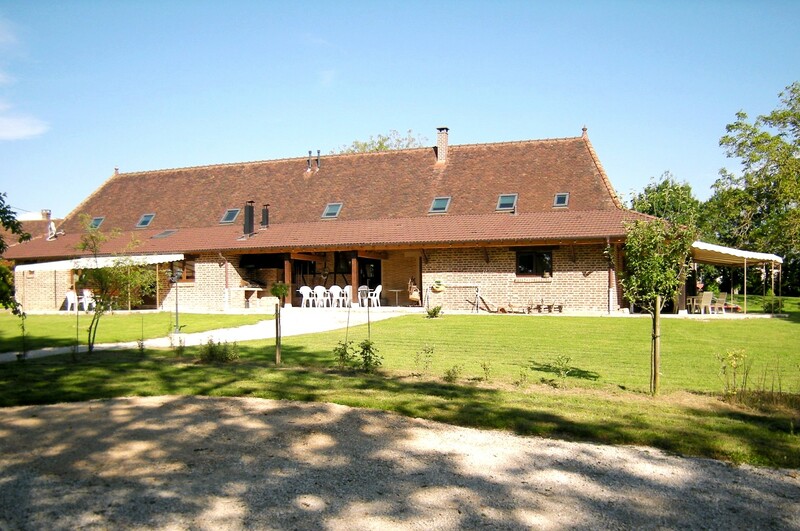 Our guests shall enjoy lovely holidays, in the south of Burgundy, in Montagny-près-Louhans, in a property of almost 3 hectares. As a family with little kids or as a group of friends. Only 5 minutes from Louhans, the main town of Bresse, famous for his 157 Arkades and the poultry-market that is hold every monday morning. Real experience to rural french life, relaxing holidays yet very close to shopping and leisure possibilities. Pizza and barbecue terrace with plancha for commun use of the two appartements. Burgundy offers rich possibilities for leisure and cultural activities. A rich and unforgettable journey in quiet and romantic location, perfect for daytrips . On the west side of the barn is a large terrace, under the roof, for commun use of the two homes. It offers all facilities for cooking and baking bread, pizzas, meat, vegetables etc. It has a very large table where one can eat in the shadow when it ist very hot or while it is raining. Our guests have their own entrance and parking on the west side of the property. Large lawn surfaces, natural meadow, a pond of about 4000 m2 and a "mysterious" forest is at their disposal. It's just perfect for families with children.